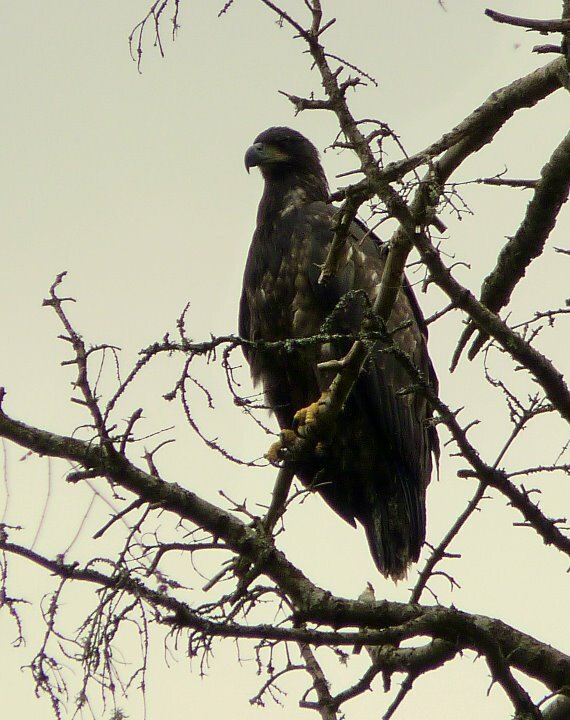 BC Forest Discovery Centre: Eagle Update! 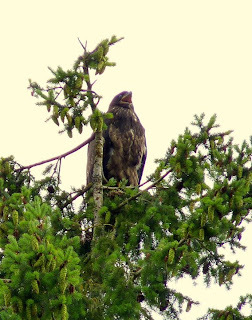 This year the BC Forest Discovery Centre played host to three eaglets, successfully hatched on the lower grounds. 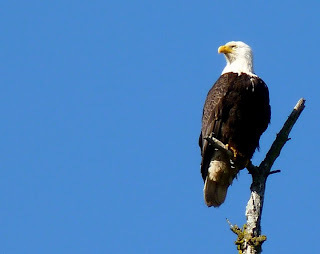 These parent eagles have been building their nest here for many years. This is not their first successful batch - but it is still exciting! Two eaglets are definitely out of the nest and flying, and we believe one is still in the nest. They can be several weeks apart in their development. The two that are flying are mostly past their awkward flying stage, but can still be a bit wobbly at times! 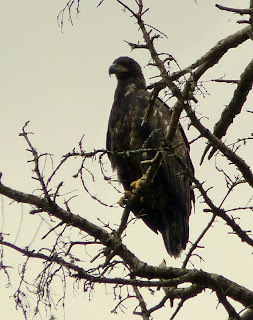 Eaglets are larger than their parents for a while as they rapidly shoot up. They are like humans though, and shrink a little as they age! They will not reach maturity, and grow in their signature white heads and tails, until 5 or 6 years of age. Stop by the BCFDC for a steam train ride and trip back in history in our reconstructed logging camp, and maybe you will glimpse one of nature's most majestic creatures soaring through the sky!